In 2015 a Craigslist ad dared me to live and work in Yosemite National Park. Even though I only lived there for a year and a half, Yosemite consumes my mind. I’ve been thinking. Dreaming. Planning. 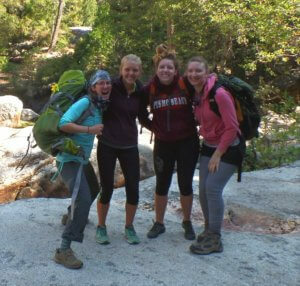 If I went back to Yosemite, how would I spend my time? What did I not get to do when I lived there? I want to backpack all 800 miles of trails in Yosemite. And I want to volunteer in multiple departments, because I can’t get enough of learning about bugs, trees and rocks..! Every day this month, I’ll be sharing my planning process for this 800 mile thru-hike. Be sure to bookmark this page so you can easily check in every day. I don’t know when or how this adventure will happen. Or perhaps it will take another form. Maybe I’ll explore the Park in sections over years. Maybe I’ll hike solo or with friends. Who knows? It’s all an adventure, even the planning! All I know is that I love Yosemite. I miss the waterfalls, the snow and the bears. I want to go back and learn some more from her. 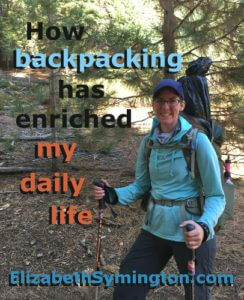 While you’re waiting for me to write, check this out: last October I wrote a 31 day series on How Backpacking has Enriched my Daily Life. Alright, this sounds exciting. I love your patch, too. 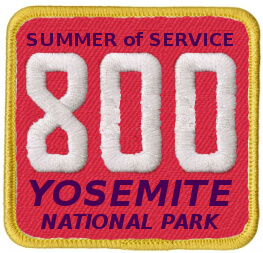 Will you be able to get one made for when you do hike all 800 miles?